American Racer was intended to foster amateur racing and to discourage factory involvement. As both Harley-Davidson and Indian built 45-inch side valve V-Twins, rules limited entries to that engine design. With the expansion of an affordable venue for racers and race promoters, Class-C flourished. Depending on what part of the country you lived in, you could race multiple days per week, almost year round. The “Ride to Track” rule didn’t last long and soon racers found ways to bend the rules to make their machines more competitive. Before long, racers often worked for their sponsoring dealer, who gave them access to parts and machine shops. As racers constantly experimented with their machines, showroom-stock bikes could no longer compete. 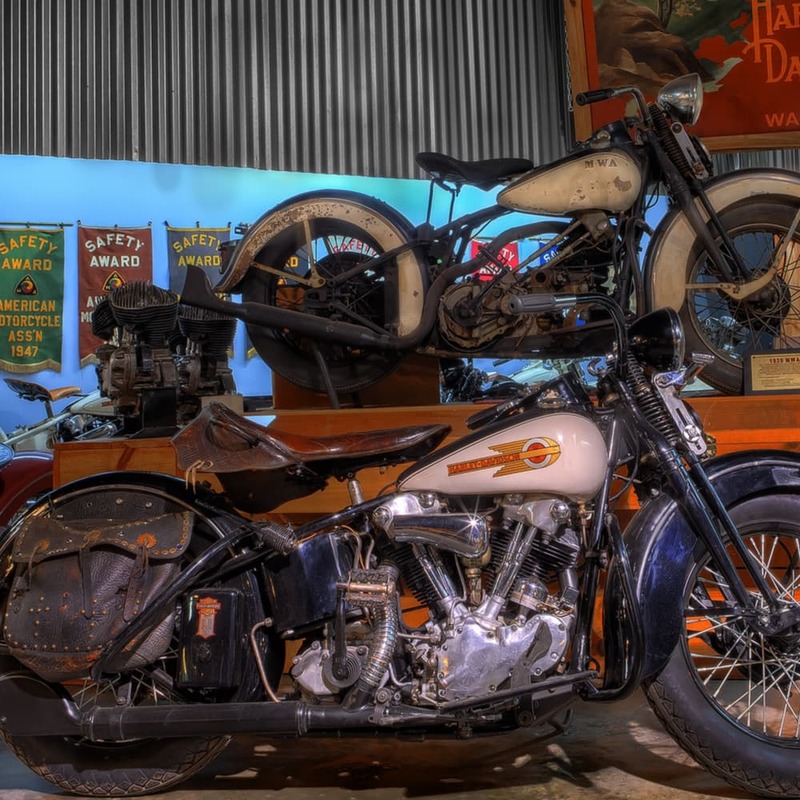 In 1941, Harley introduced the model WR, officially ending the “pure” Class-C era. 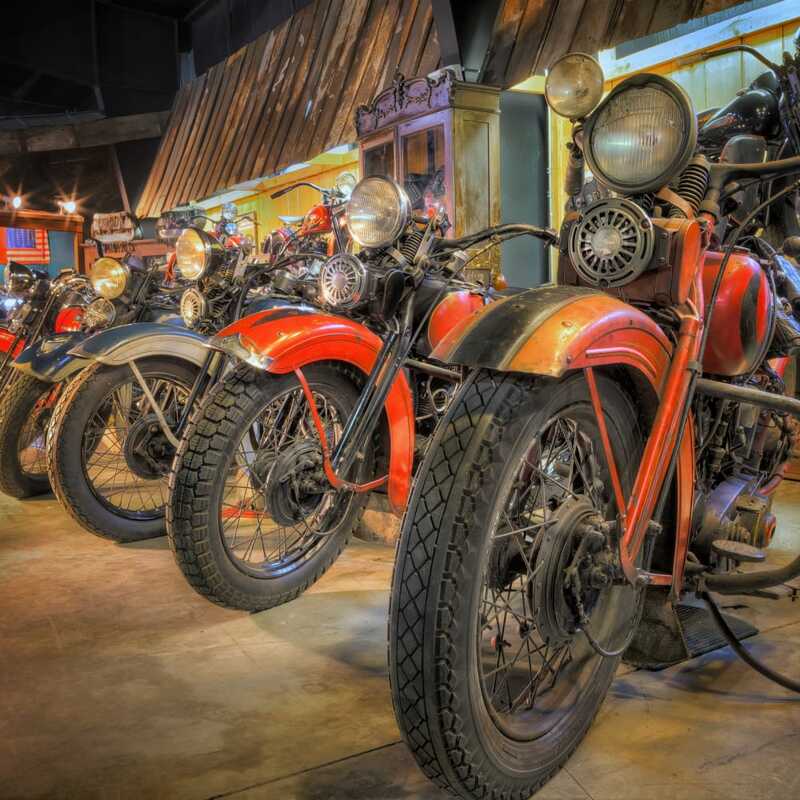 However, Class-C Racing continued to gain steam, largely influencing where the motorcycle industry is today. 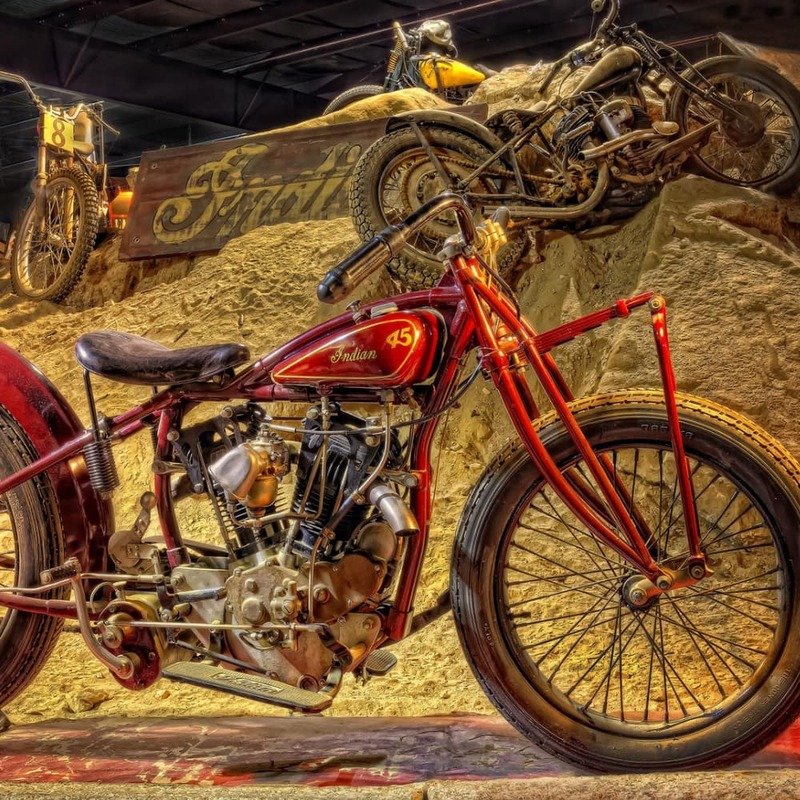 The Great Depression took its toll on the motorcycle industry, forcing manufacturers to cut back on costly endeavors used to promote their products. Professional racing budgets were slashed, and teams of eight to ten riders, along with mechanics, and engine turners dwindled down to one or two favored riders. With the impact of “Class-A” racing at an all time low, manufacturers needed a new outlet to help sell their product. 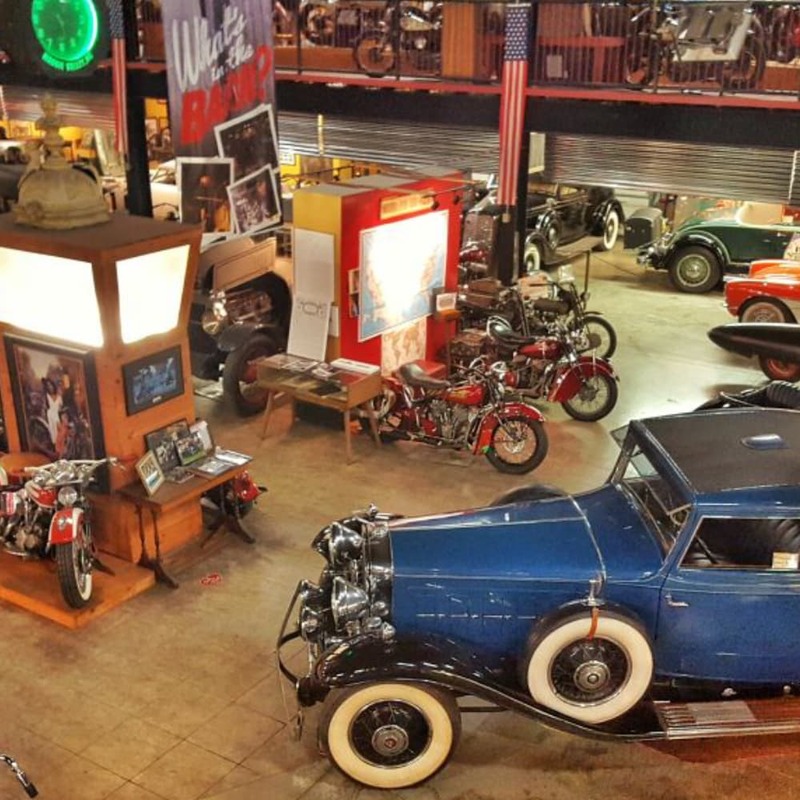 With the close of Excelsior in 1931, and the future of the motorcycle industry uncertain, representatives from Indian and Harley met with AMA President E.C. Smith in hopes of reviving motorcycle racing in America. 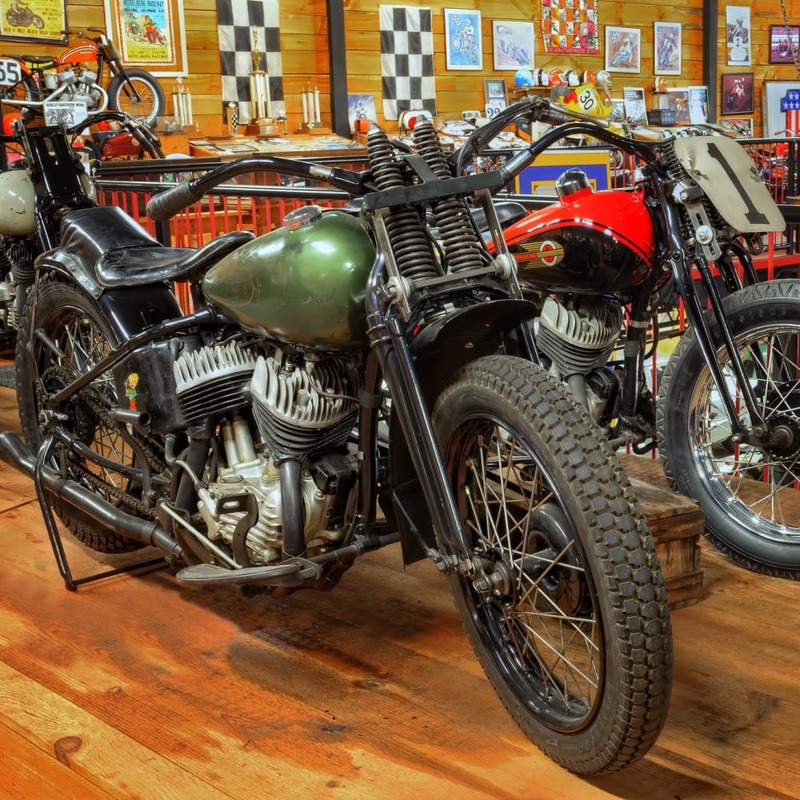 Class-C racing made its debut in 1934, and would change the very concept of our country’s motorcycle scene. 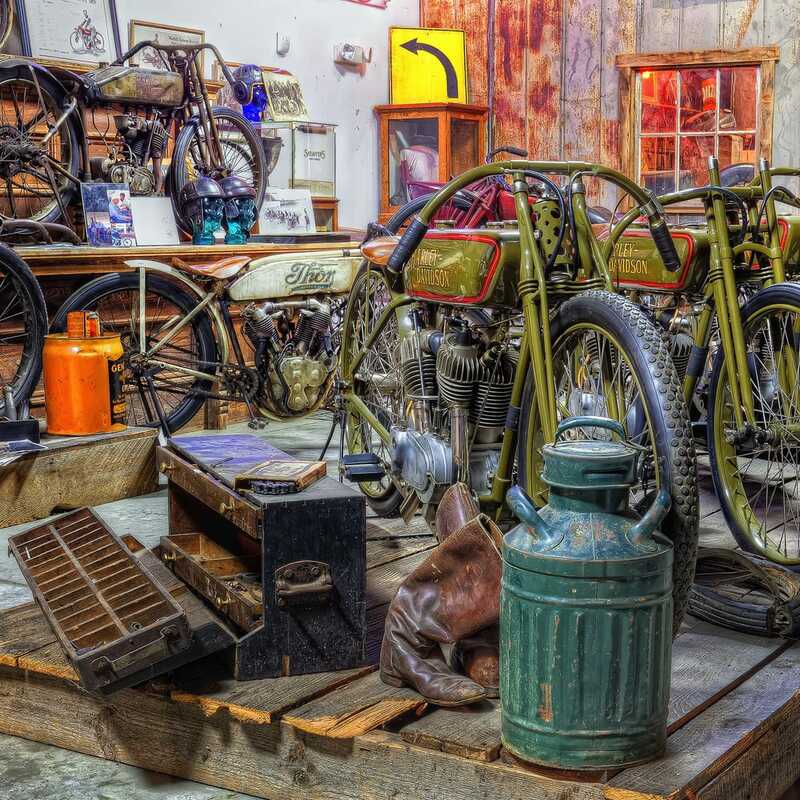 Rules stipulated machines be registered to the person who raced them, racers had to use pumped gasoline, and at least during the early years that riders had to ride their bike to the track. 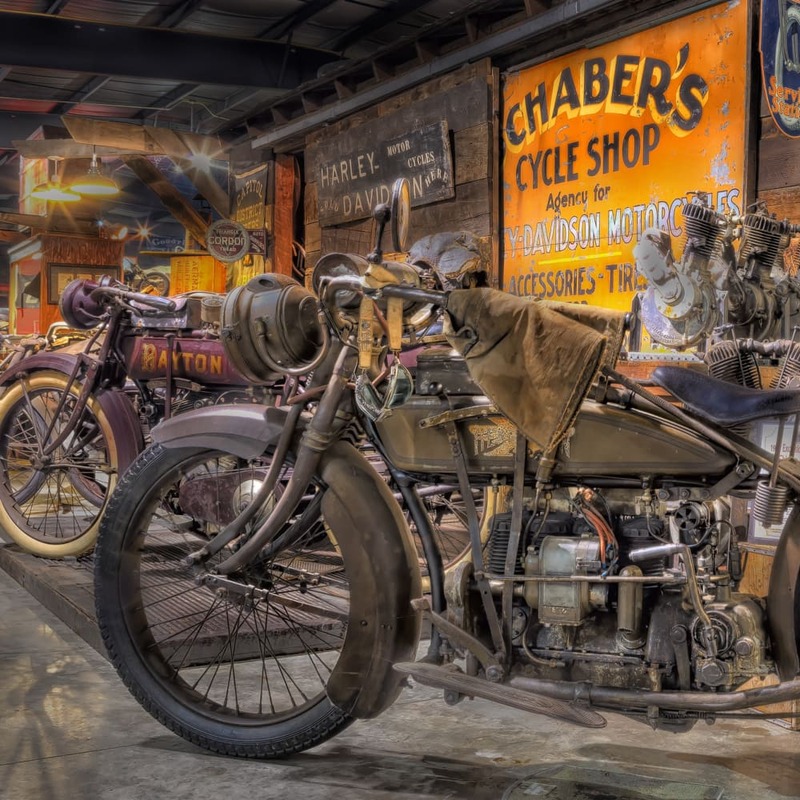 The American Racer exhibit is home to several of Caroll Resweber’s National Championship machines, including the most famous “Duck Bike”. The other four championship bikes are displayed in original, as raced condition. The legendary Caroll Resweber will forever be remembered for his short, but brilliant racing career, and his outstanding dedication to the sport. Over six seasons, Resweber would win a remarkable 19 AMA nationals on a variety of circuits including road races, short-tracks, half-miles, and miles. 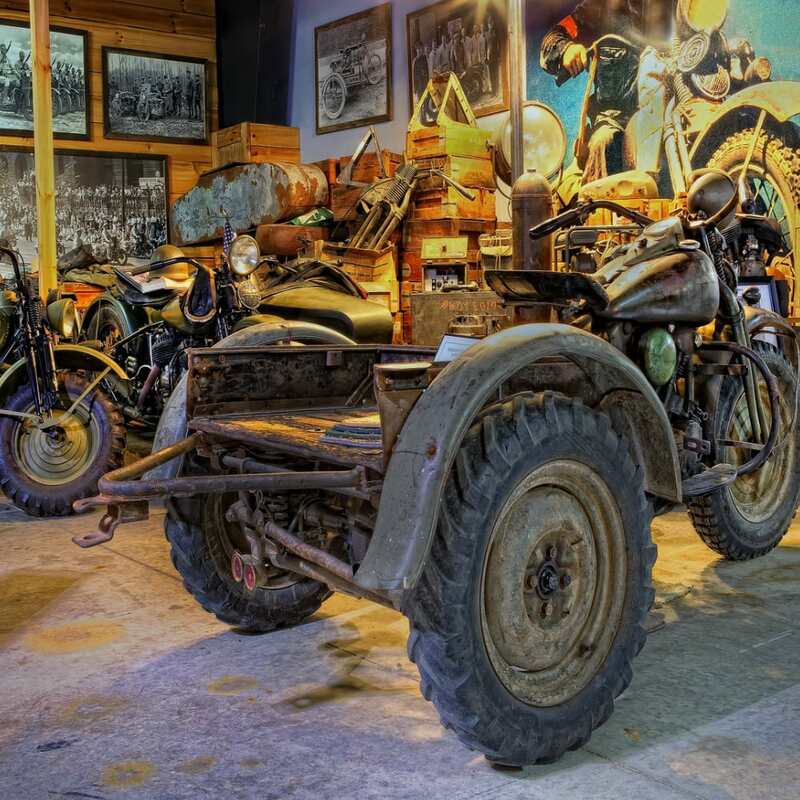 The Caroll Resweber Collection & the most famous“Duck Bike”.